Ever had someone force you to eat curd before going out? Or have somebody tell you that spilling salt is terrible luck? Well, it is not just Indians who believe in all these superstitions. People across the world believe in some or other superstitions related to food. Check out the 10 most popular ones. 1. Cutting Noodles Short: As per the old Chinese theory, if you cut noodles short before eating them, you’re actually slicing years off your life. 2. Undissolved Sugar in Tea: In countries like India and China, it is said that if there is a clump of undissolved sugar left at the bottom of a teacup, you have a secret admirer. 3. Handing a hot pepper to a friend: In some countries including UK and India, it is believed that if you handover hot pepper to somebody, it will cause problems in your relationship. The best way to pass chilli is to put it on a table. 4. Hole in Bread: Superstition has it that if you find a hole in the bread, someone might die soon. A hole in bread symbolises a coffin. 5. Chewing Gum at Night: In Turkish lore, it is said that if you are chewing gum after dark, it will turn into a flesh of a dead person and give you foul smelling breath. 6. Cutting An Apple: According to an old superstition, by cutting an apple and counting the seeds, you can know how many children you’re going to have. 7. Putting Your Chopsticks: In Japan, people believe that putting chopsticks upright in a bowl is considered an omen of death as it looks like the incense burned at funerals. 8. Hanging lemons and Green Chillies: In India, it is said that lemon and green chilli help keep evil energies away. 9. Spilling Salt: It is believed that spilling salt brings bad luck. Also, some people believe that salt should always be kept in a container as the one kept in a bowl is said to absorb negative energies. 10. 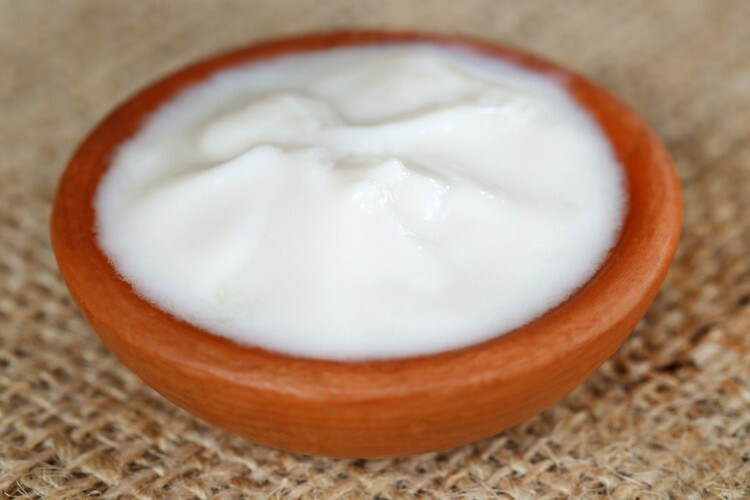 Eating Curd Before Going Out: In India, it is said that before going out for some important work, you must eat curd and sugar.